Join us this Easter as we celebrate good news -- the good news that there is real peace, real joy, and real hope available for everyone. Because of Jesus, everything changes. We'll retell the story of Easter through music and singing, readings, and teaching. Then stay as we celebrate this good news with plenty of Easter activities and surprises for the kids, including an egg hunt! Sunday, April 14 - Palm Sunday Services, 8:45am and 11:00am - Join us as we celebrate Palm Sunday with traditional palm leaves provided for children. Friday, April 19 - Good Friday Service, 6:30-7:30pm - Join us as we read and sing through the narrative of the crucifixion. Childcare not provided at this service, but our nursery will be available for use under parental supervision. Sunday, April 21 - Easter Services, 8:45am and 11:00am - We'll celebrate and retell the story of Easter together, with a party after each service. Sunday, April 21 - Egg Hunt and games - Join us immediately following each of our services on our back lawn. New around here? Dress however you feel comfortable. Arrive a bit early and enjoy a cup of coffee. We'll have friendly greeters ready to help. Our normal services are 90 minutes long but our Easter services will be 75 minutes long to leave time for our Easter party afterward. Kids joining you? Our Kids Ministry team will provide a safe and fun environment for your kids. Children ages 1-4 can be check in to class before the service and kids from age 5 through 5th grade can be checked in after our time of singing. 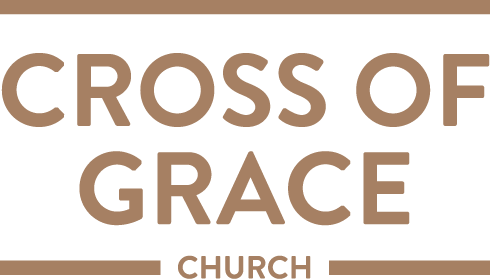 For more information, please email us at office@crossofgrace.net or call our church office at 915-562-7100. You can also message us on Facebook.